Posted on Sunday, September 30th, 2018 at 10:57 am. I, too, just got back from Interbike and it was undoubtedly smaller, as you have probably already heard. 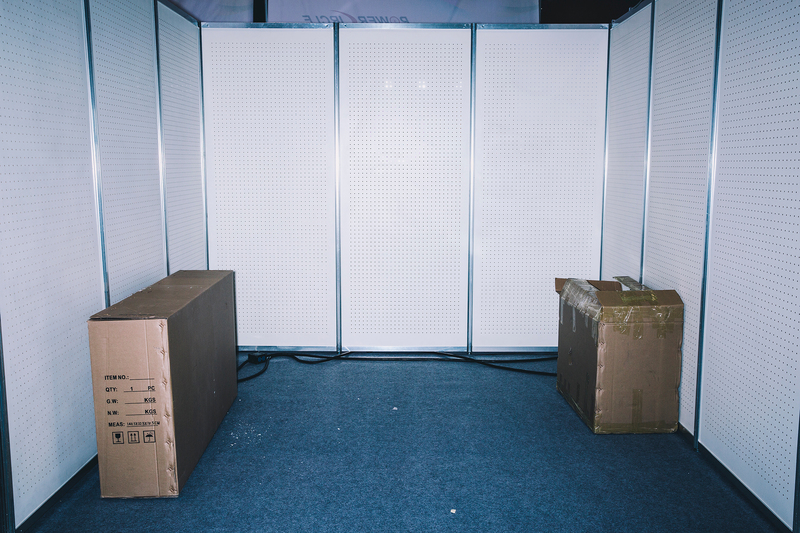 But there was still plenty of gear at the show to drool over. There were bikes that have already been announced, and then there were steeds that were totally new. In either case, it’s always better to see them in person than just reading up marketing copies. Here are ten bikes, well, not counting the Merlin Newsboy we highlighted in another post, that caught my attention. I ran into the Basso folks during media review on the eve of the show and on the table was the company’s new Diamante road bike with this hot electric sky paint. Beneath the booth was the company’s 2019 catalog, flipped to the page of an even more interesting bike. Palta, a local Italian dialect for “dirt, mud or similar,” is Basso’s gravel bike. I visited the Basso booth the next morning and my, it looked even better in person. The term “made in Italy” is often a marketing catch phrase, but Basso products are still proudly produced at their own factory in Northern Italy. The company is quite open about its manufacturing process, down to their specific layups for each frame. Besides the radically shaped Palta fork, the 1x specific, full thru-axled frame can be fitted with up to 42mm tires, a removable chainguide, as well as mounts for three bottles with three mount holes on top of the downtube for more available position. The Palta uses a proprietary-shaped seatpost secured with a triple bolt hidden clamp and a vibration-reducing rubber gusset sandwiched in between. Four sizes will be available and the bike can also be purchased with two add-on kits: An “endurance pack” with the addition of a 20mm vibration-reducing spacer, or the “mudfest pack” that includes removable front and rear fenders. Dean showed off a 13.14lb El Diente Super Lite complete with Shimano Dura-Ace Di2 and über bits such as Lightweight Meilenstein carbon clinchers, THM Clavicula SE carbon cranks, a semi-integrated Chris King headset on a 44mm straight tapered-headtube, a carbon-railed Selle San Marco Aspide saddle, an ENVE fork and Schmolke seatpost. It’s a fully ridable machine owned by one of its employees. Dean is happy to custom build one of these 3/2.5 titanium rider-specific tubbed frame for $3,200 including customization such as choice of bottom bracket, brake, cable routing, dropout, geometry, and seatpost sizing. How much does the pictured super bike cost? Well, enough to purchase a number of wickedly fast motorcycles. Tom Ritchey sold his first Ultra mountain bike frame 30 years ago and the American innovator who forever changed the landscape of mountain biking with the first production mountain bike is back with a new iteration of the Ultra. No, the frame is not carbon, it’s still being built with tried-and-trued Ritchey Logic steel tubing but with a modernized geometry to accommodate both 27.5”x2.8” or 29”x2.4” wheel sizes depending on the terrain or the rider’s preference. The update didn’t stop there though. It’s got a boost 148×12 rear end, an internal dropper post routing, and a forged and machine tapered headtube. The new multipurpose Ultra comes in three frame sizes and is designed around a 120mm suspension fork. It is also competitively priced at $999. It’s been a while since we got excited over a steel mountain bike and we can’t wait to get our hands on one of these. Better known for its tires, Donnelly announced their foray into frames at Dirty Kanza this past May and the cyclocross-oriented C//C and the gravel-specific G//C frames are finally shipping. The C//C, shorthand for Cross Carbon also just won the inaugural RenoCross by factory rider Lance Haidet so rest assured, this bike is no fluke. Besides it’s race-specific geometry, clearance for up to a 700x40c tire with thru-axles front and rear, and flat mount disc brake mounts, the C//C looked very clean with its integrated cable routes and sharp limited edition Amy D Blue. The C//C will retail for $1,999 as a frame set in five sizes, with complete build starting at $2,999. The wait is over. Cannondale finally made an aero bike with a rather familiar name: SystemSix. First introduced in 2007 as an aluminum and carbon venture, the SystemSix takes Cannondale’s integration philosophy to heart where frame, fork, handlebar, seatpost, stem and wheels, basically all major components were designed together as a system. Highlights on this disc-only bike include the 64mm deep KNØT64 carbon clincher wheels plus a massive KNØT bar-stem combo to which all cables stay hidden to reduce drag. The Inclusion of Speed Release thru axle should also boost stiffness and make wheel change a breeze. The higher end models such as this $7,500 SystemSix Hi-Mod Ultegra Di2 will be pre-installed with a Power2Max powermeter that can be activated by Power2Max for $490. Van Dessel has been expanding their lineup of gravel bikes and the Urban Gravel build is an interesting one. While it uses the same 4130 Double-butted Cro-Moly frame as the drop-bar and 700c wheels equipped, do-it-all Whiskey Tango Foxtrot (WTF, get it? ), the WTF-Urban Gravel edition is spec’d with a 1x Shimano SLX drivetrain, 650b wheels and riser bar for more upright riding. It can do a bit of cross, gravel, commuting, and grocery runs and it’s $1,799. The Indigo Candy Blue fade shown here, however, is limited only to 50 units. Further, if you’d like a higher-end frame, Van Dessel can also apply the same Urban Gravel treatment to its A.D.D and Whiskey Tango Foxtrot 853ltd frames. I was bombarded with emails about eBikes weeks before the show even started so I was pretty turned off by them by the time the showed started. I didn’t spend a ton of time at the e-Bikes section but the Rise Müller Multicharger reminded me a lot of the Tern GSD I recently reviewed, yet it was so different at the same time. It’s got 26″ wheels, a Gates belt drive, a Bosch drivetrain with dual battery option, Magura disc brakes, Cane Creek Thudbuster seatpost, suspension fork, and cargo racks that can be added with two custom 33-liter bags and a passenger kit rated to carry up to 132lbs/60kg. The Multicharger will be available in 5 trim options starting at $4,989. A cargo-capable eBike that can pull double-duty on the dirt? Yes please. I must admit I didn’t notice the 92-year old Czech company until the Basso guys stopped by to borrow a pump while we were off shooting the Palta. It was a bright booth with a ton of good looking bikes like the gravel oriented F3 (Top) with a Lauf Grit suspension fork in matching paint, but the most unique one has to be the F1 classic. It looks as if the bike is made out of steel with what appears to be an old-school flattopsteel fork and its seatpost/seatstay junction. Not so. The F1 Classic just happens to be a classy-looking carbon steed. The 7.7kg/16.9lb bike shown comes with a tan leather saddle, tan bar tape, a silver cockpit and Campagnolo Potenza silver 11-speed mechanical grouppo with rim brakes. I am a sucker for a good paint job and these two at the SmartWasher booth sure got a lot of buzz. First, a wood-themed Felt TK2 track bike with matching saddle bag, helmet, crank arms and pedals. Second, a Wonder Woman-themed Felt TT bike. Enough said. Posted on Monday, September 24th, 2018 at 11:02 am. The thing I still can’t figure out is where were all the heavy-hitters. The big brands were once again nowhere to be found. I have had plenty of conversation with people on the inside and on the edge of the industry as to why this continues to be the case, but it is my opinion as we go into the future this will be considered short sighted by the big names. In the “good old days” if you wanted to get media coverage for next year’s product launch, you had to be at Interbike. 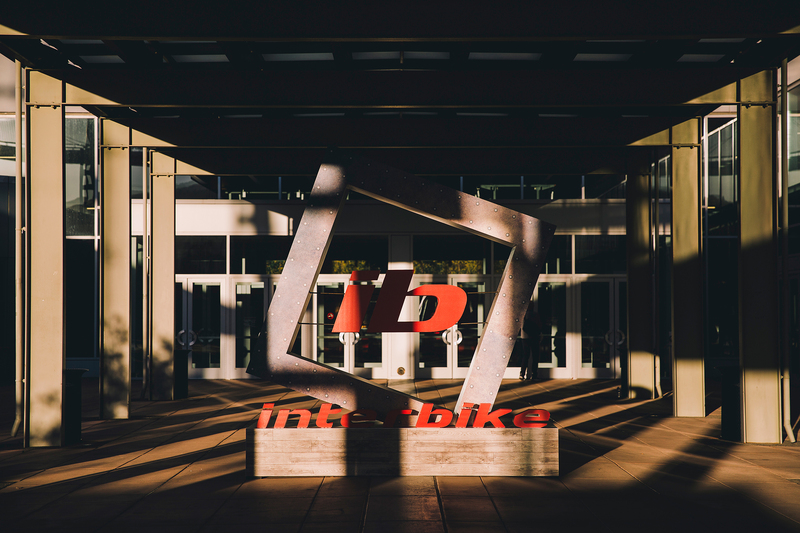 Anyone and everyone knew Interbike was the window to the world, it hinted at where the industry was going, and from the feel of the show you could feel the health of all things bicycle. And then along came the internet and the ability, or at least the perceived ability, for brands to craft their own message. They didn’t need to make big advertising buys and wait for the media to show up at Interbike to get the word out on their latest wonder. They could take to social media and spread the word themselves. And so they started to abandon the bicycle media with their ad dollars and they left Interbike. They started to hold their own events. Bringing in media to their new bike launches and getting them one-on-one to control or craft a more focused narrative, at a time when they didn’t have to compete with everyone else. They could have the “news” cycle all to themselves, and so instead of relying on a journalist to tell their story, they turned to “influencers” to share on social channels. The Millner-Haufen Tool Co. booth had a constant crowd who was curious about their line of drill bits and diamond-plated grinding wheels. "That's mil-spec!" yelled one attendee. VR at the STAC Zero booth. Kelly Valyou of Bicycle Sport Shop in Austin competes during the semi-final of the annual mechanics challenge. The outdoor section was a nice addition and provided a breath of fresh air after spending hours on the show floor. All of this is to say, I understand why they left Interbike. It became an expensive and dated way to get face-to-face with the people they wanted to see and the press they desired to have. They wanted a more focused time with those folk, including their dealers or would-be dealers. And it worked, for a while at least. But, in my opinion, things are changing again. And it’s time for the Big Boys to return to Interbike. Not just for themselves, but for the fans. We, the bicycle nuts, are ready to have our version of MacWorld/ComicCon/SXSW returned to us in all its glory. 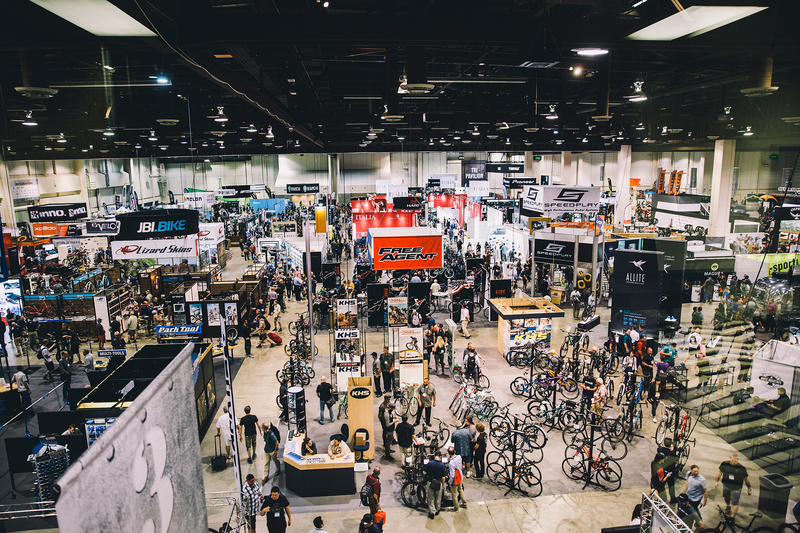 We want to make an annual trek to someplace like Reno and see all the bicycles, jerseys, widgets, tools, tires and trinkets all under one roof. We want to geek about our plane tickets to Interbike and rifle through our t-shirt collection in order to see and be seen by all of the other bicycle geeks. We want to pour through the magazines and websites trying to get some small idea of what we might see at the Big Show. We want to have one destination, one weekend, one opportunity to join our cult under one roof to celebrate this thing we love. And in order for this to happen, we need one of the big boys to strike the match, start the fire and invest in attending Interbike. They need to see through their current marketing plan, to see the ROI in attempting to returning Interbike to its former glory. They need to realize their current strategy of viral videos, influencers and single one-off media events can be enhanced by helping make Interbike like a trip to Burning Man. One weekend of bicycle worship for the benefit of all things cycling. It’s shortsighted of the bicycle industry, especially the bigger players, to let this event wane. They should be looking a little farther down the road. Because as the social channels become bigger and more numerous – and as those channels start to reach deeper and deeper into their pockets – investing in Interbike and returning it to its former glory, will make it a place to reach their people at a grassroots level. Bring on the high tide. 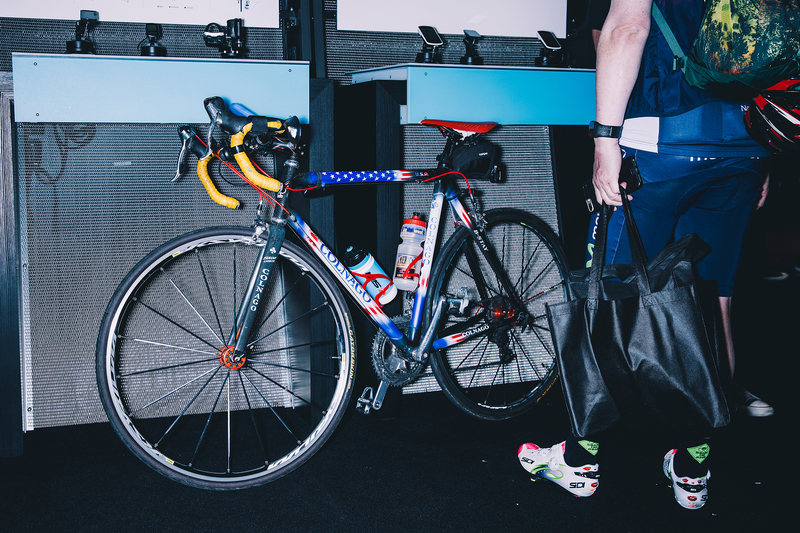 Editor’s Note: A special diamond-studded cog to Cannondale, Shimano, SRAM, Pivot, Thule and all the other manufacturers who stuck around after everyone said the party was pretty much over. Long live Interbike. Posted on Monday, April 2nd, 2018 at 2:56 pm. It’s unfortunate that this gorgeous one-off Cannondale SuperSix Evo Hi-Mod Disc is not for sale, but you can enter a raffle to win it by showing up to any Pas Normal Studios Destination Everywhere group ride throughout Europe this year. That’s right, all you have to do is do a group ride to own this custom-painted SuperSix EVO Hi-Mod disc in full SRAM RED eTap HRD gruppo, Zipp cockpit and wheels, and a Fabric saddle. It’s that simple and the winner will be announced on November 1st. Posted on Monday, April 10th, 2017 at 12:02 pm. I always had a soft spot for a Cannondale Bad Boy ever since its inception in 2000. I was relatively new to the whole cycling thing then, but that monochromatic theme made quite an impression to me (a kid) that I almost convinced my parents to buy me a 2001 Bad Boy Jekyll… from Copeland Sports, no less. A former race mechanic eventually steered us away from buying a Bad Boy to race high school cross country (he was right). But the want factor remained. Perhaps it’s the fact that Cannondale got into the whole murdered-out black color theme way before it was even considered cool, or maybe because the Bad Boy always carried a unique narrative within the Cannondale lineup parallel to that of an unassuming sleeper car. Over the years, proven technologies from both the road and mountain segments such as the HeadShock suspension fork, the one-sided lefty, and the SpeedSave rear triangle design all made their ways into the Bad Boy line up. The redesigned 2017 Bad Boy is no different. In fact, it’s a gem with all the subtle integrated details. The rigid lefty fork design remained but with all the room inside the hollow rigid tube, designers at Cannondale integrated a LED light strip directly into it. Dubbed the LightPipe Lefty, the USB-rechargable strip is a continuous light with a claimed 24-hour run time that functions like an aftermarket front light would to increase visibility. See that white strip on the lefty fork? That’s a light. Oh, and there’s the one-piece headtube and downtube assembly. The LightPipe is by no means a replacement for your 1,000 lumen headlight, but the said model shown at InterBike this past September was plenty bright to be noticeable, not to mention all the light integration made the Bad Boy significantly less cluttered, more streamline even, as if the Bad Boy got hooked on Kondo Method and was a believer of marginal gains. The Bad Boy shown at InterBike. With the front LightPipe covered, Cannondale also added a built-in red taillight into its massive 31.6mm seatpost with three modes: Continuous, blink and wave. Run time, as I was told, will be about 50-hour in continuous and blank modes and 100-hour in wave. It’s powered by 2 internal AA batteries. Integrated taillights within the seatpost. Yet the makeover did not stop at the lighted fork and seatpost. While the previous Bad Boys came with 700c wheels, the ’17 Bad Boy will have 650b wheels throughout. The frame is new too, most notably with its massive one-piece 3D-forged headtube and downtube assembly. The Bad Boy is available in disc-brake only, so plenty of power for those endless stop and goes around town. The Bad Boy will come in four models in various built favors from $870 to $1,840. The top-of-the-line Bad Boy 1 will come with a belt-drive drivetrain with an eight-speed Shimano internal gear hub. So yay for less maintenance, no lube getting on your hands/pants, and a smooth silent ride. It’s worth noting that only the Bad Boy 1 and 2 will have the LightPipe fork and illuminated seatpost. The last detail worth mentioning is the rubber strip along the top tube to protect the frame from whenever it’s leaned on. It’s a simple design touch but nevertheless a refreshing sight to see a company go great lengths to execute a well thought out performance whip as opposed to a boring hodge podge commuter bike. Obviously it’s not a bike for everyone’s taste, as some might still scoff at the idea of a single-side fork, or fat aluminum tubes even for that matter. If you’re looking for a well-designed, high performance commuting machine with an understated look though, look no further. Posted on Tuesday, February 21st, 2017 at 12:01 pm.